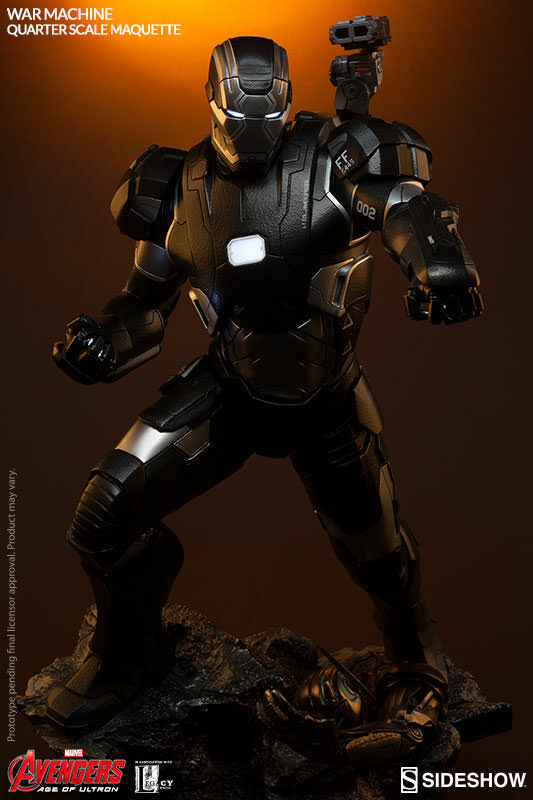 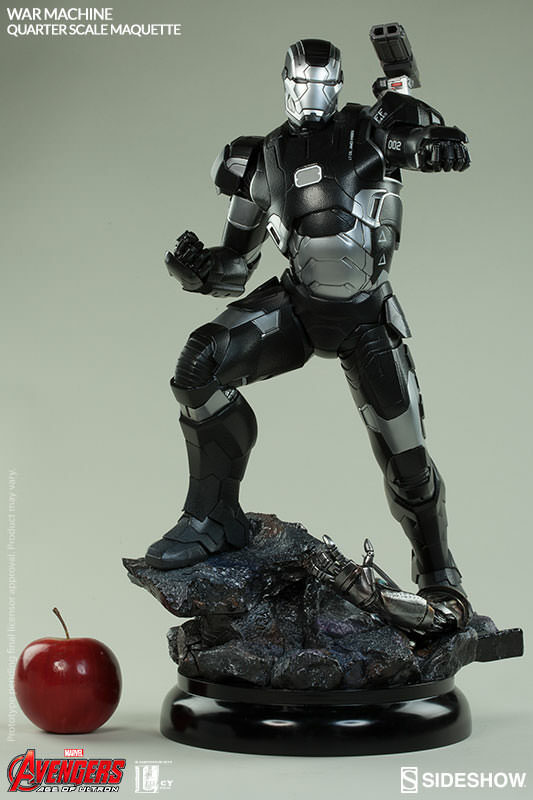 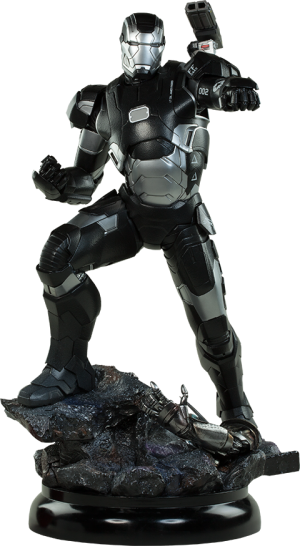 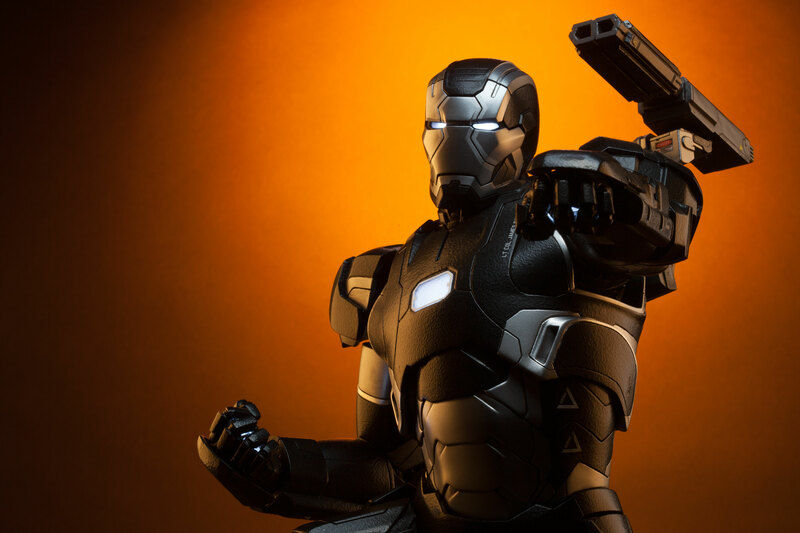 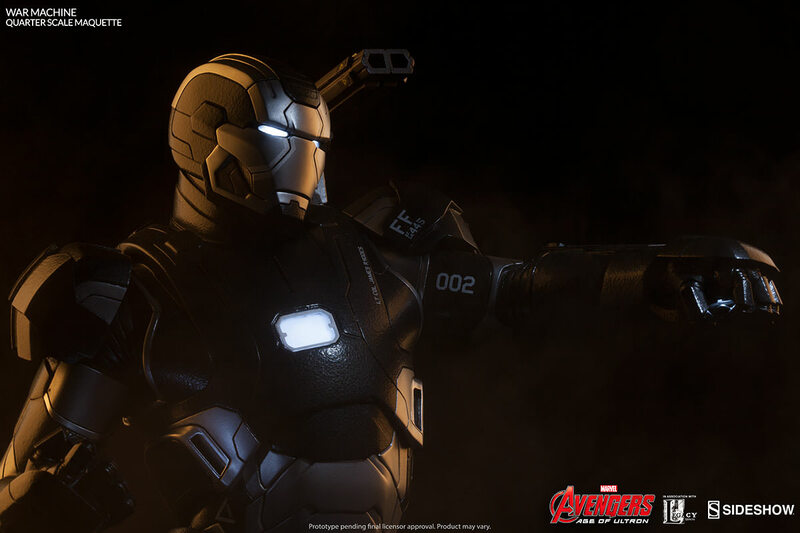 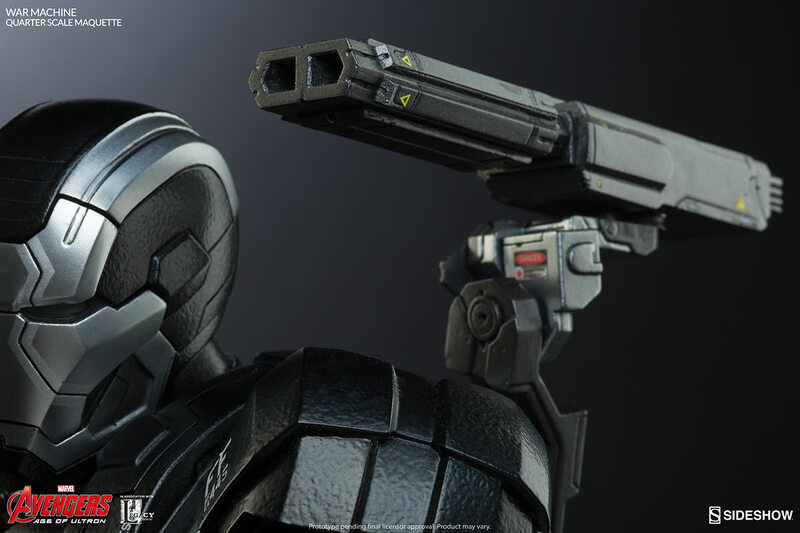 To celebrate the release of this summer’s Marvel blockbuster Avengers: Age of Ultron, Sideshow Collectibles is proud to introduce the War Machine Quarter Scale Maquette. Say it with us: "War Machine rocks!" 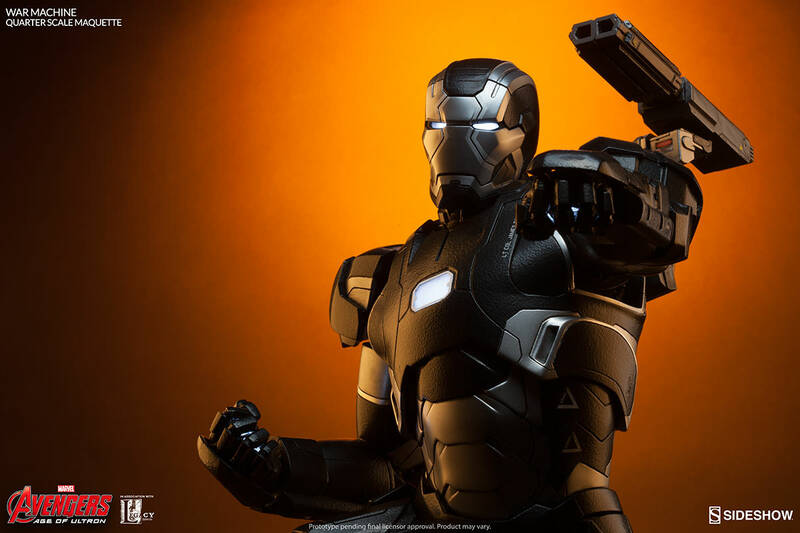 Based on the previously released Iron Patriot Maquette, Sideshow has joined forces once again with renowned sfx studio Legacy Effects to present the Colonel’s new look as he gears up for action in the second highly-anticipated Avengers film. 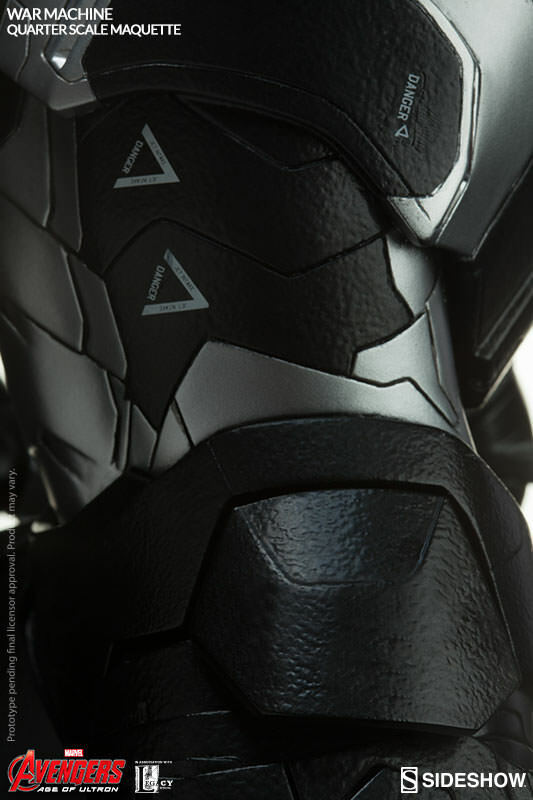 If you're on the fence, go for it. 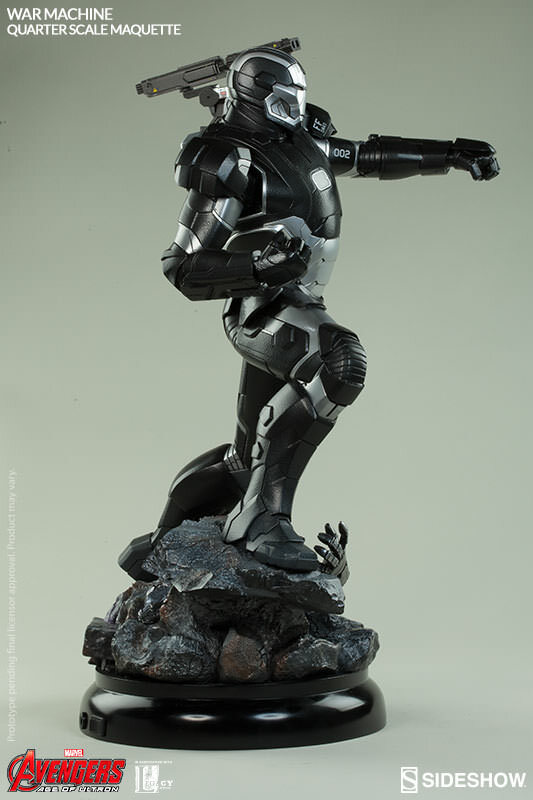 The paint came out great on this one. 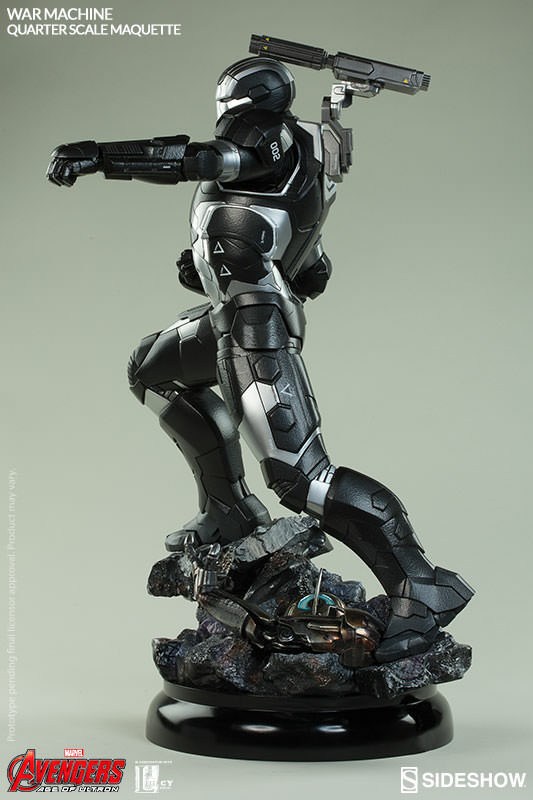 I love it and would absolutely recommend it if you're thinking about it. I received my War Machine Maquette and I placed beside my Iron Patriot Maquette. 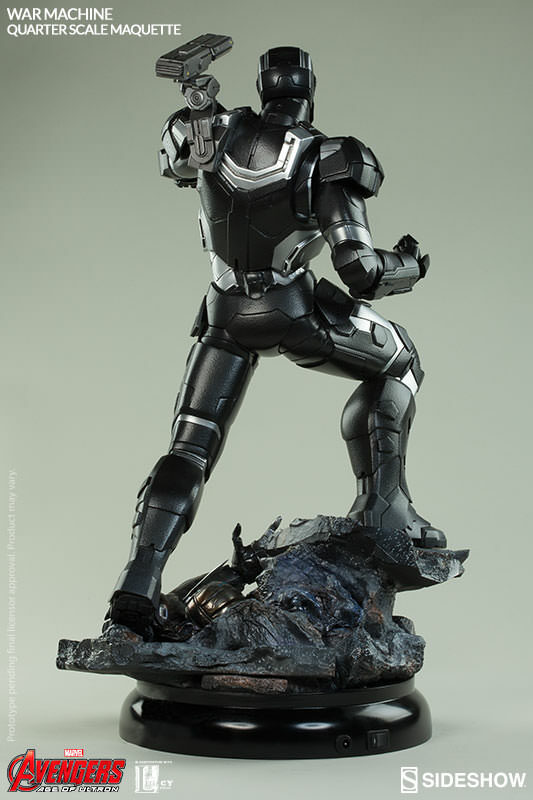 I knew I had to get another Iron Patriot...gonna make a War Machine Sandwich. 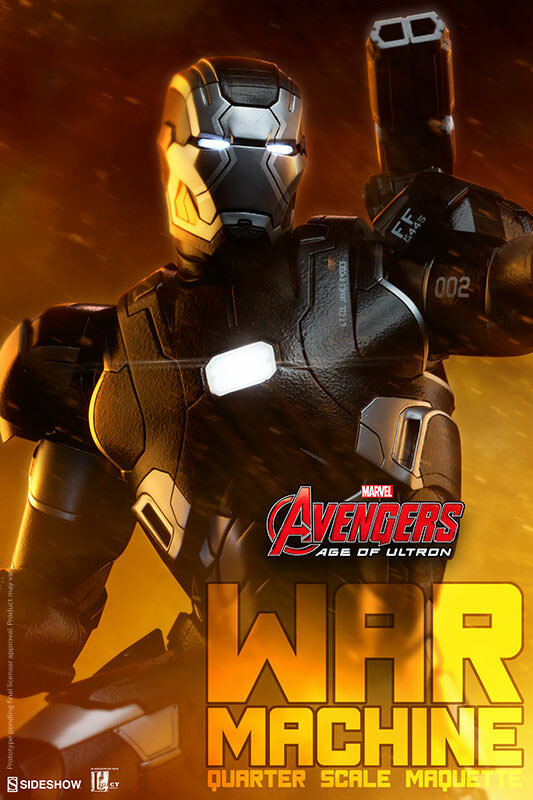 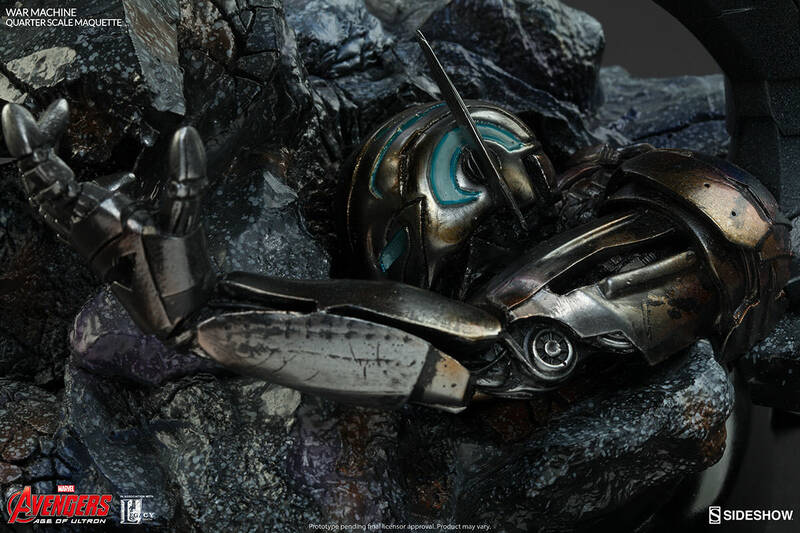 This War Machine ART is Delicious Eye Candy. Better get yours before the cupboard is empty.